We are delivering a means for the consumer to view the validated ingredient supply network behind any food or drink brand, business or product, from a farm to a beer, to a meat processor, to a restaurant. We are working with all related organisations to provide one point of non partisan reference to empower the consumer to discover the spectrum of impacts their purchase affects. We challenge every food and drink business to allow us to validate and publish their ingredient supply chain within our network. Happerley publishes the ingredient supply chain following an audit process. 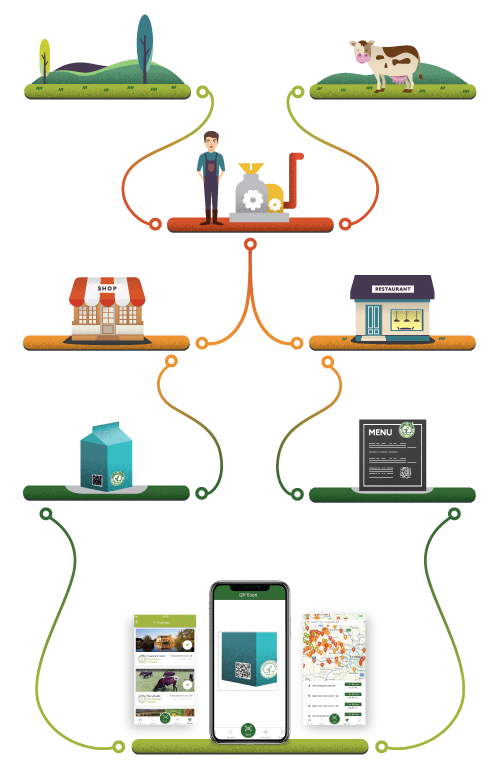 The client is provided an editable microsite (the "Happerley Transparent Data Record") to which all their ingredient suppliers are connected and all become part of one connected and searchable network. The open platform allows for multiple connections up, down and across food chains and so develops as one growing interactive network.  Certified entities are provided a licence to apply the Happerley marque on packaging or at point-of-sale, and are granted a unique QR code connecting to their published food chain via the free consumer app. When browsing the retailer aisles, find out exactly where do the ingredients in the strawberry jam come from. Happerley stands for no creed or favour but to deliver transparency for everyone. The consumer is finally empowered to make purchasing decisions based on fact not fiction. That there is no means for the consumer to question disingenuous labelling, misleading inferences and claims has diluted the provenance premium. More critically, this void has provided opportunity for food fraud, reduced consumer confidence in food purchases and largely detached the primary producer from any value to be attained through provenance. Root your brand values in your own ingredient supply chain, turning them into your own "team brand", engaging with and validating your provenance story. 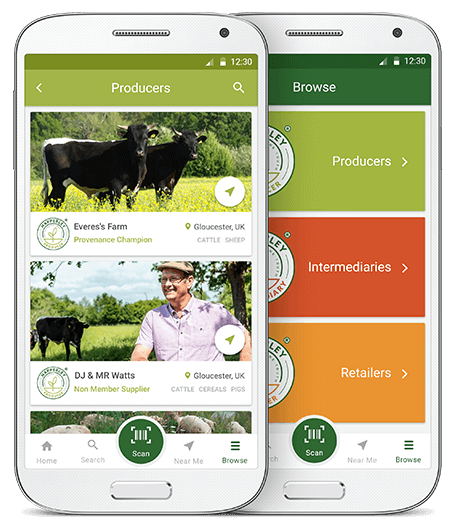 Educate and inspire your supply chain on the importance you place on the ingredients they supply, their provenance and transparency. Develops and strengthen loyalty across your supply chain. Highlight potential weaknesses in your supply chain, recognises strengths and identifies opportunities to improve. Accrue, control and share intelligence. There are sufficient food & drink regulatory bodies, membership organisations, producer groups and accreditation schemes to leave the consumer overwhelmed and the organisation fighting for space to reach the consumer. We are now inviting organisations to join the hub so their marques can be featured, explained and validated via client profiles who have listed a connection to the organisation. This mean that when the consumer explores the journey of their food, they see and understand the implication of memberships or certifications any Happerley Transparent client features. The consumer is also able to search according to these accreditations. 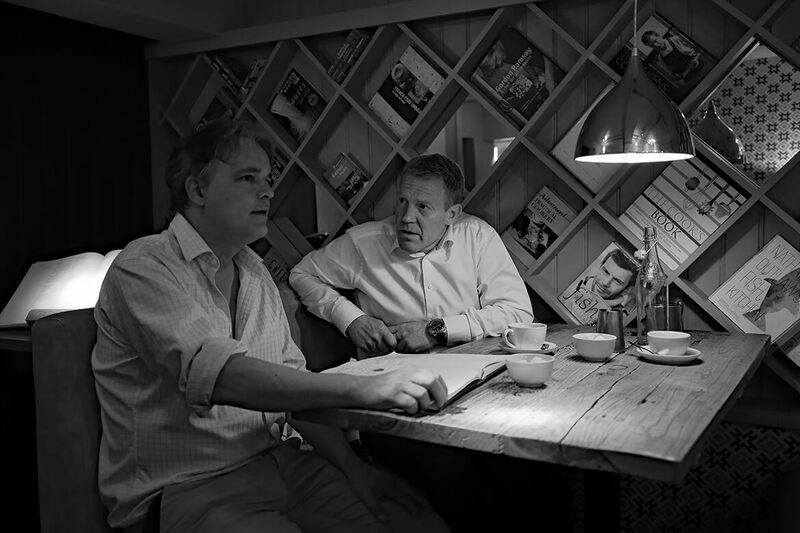 Our fees have been set to make it affordable for every food and drink business with nothing to hide to benefit from validating its provenance and join the Network. Happerley's purpose in not to turn a small premium element of the food and drink industry transparent, but to turn most of the food industry. Larger clients can and are committing to an inclusive on boarding fee to cover the mandatory certification of their entire supply chain, to achieve seed to fork transparency at their point of sale. We can then deliver provenance procurement parameters and indicators bespoke to their requirements.